Soccer, or futbol in Spain, is the biggest sport in the world. In Spain, football is everything! It’s the national sport and home to arguably the best football league in the world: La Liga, and arguably the best player: Lionel Messi! Spain has a deep rooted football culture and each town and city have their own special memories, customs, songs and traditions associated with their favorite teams. Here’s some top reasons why Spain is an unbeatable location when it comes to playing football. Spain is home to La Liga, internationally recognized as one of the best, if not the best, football leagues in the world. Real Madrid and Barcelona are two of the best clubs in the world that compete in La Liga, and between them, they have one of the most renowned rivalries in the game, dubbed ‘el clásico’. If you come to Spain, you’ll have the opportunity to watch some of the best players in the world, at the highest level of play. Watching the Spanish game is different to other leagues, some say it’s more possession based and everyone will agree that it is very technical- regardless, there’s a lot to learn from these players! What’s more, if you are looking to improve your game or seek professional opportunities, Spain offers a very high level of play in professional academies and clubs across the country. There are also prestigious tournaments played throughout the year, at both youth and professional levels, where there’s the chance to play against elite level competition. The Spaniards have a famous style of play known as the tiki-taka style. It is renowned for being fast, controlled and possession based. With the success of the Spanish national team and Spanish club teams over the last decade, it is clear to see that their style of play is successful, difficult to play against if you’re the opposing team and beautiful to watch! Barcelona have optimized this style and many other nations and clubs have tried to take note. Therefore, coming to play in Spain whether it be on a summer camp, a team tour or for a tournament, will expose you to the foundations of this style and better your awareness of the different ways the game can be played. The Spanish football clubs and academies have top of the range facilities from their first team’s right down to their youth teams. 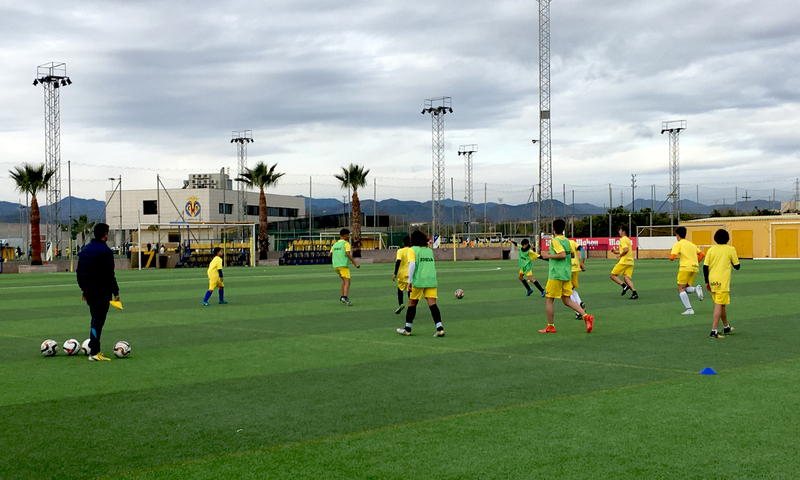 Coming to Spain will give you the chance to train and play on these fields, feeling like a pro! In addition, professional teams will train at the same facilities as their youth teams and so there is the opportunity to gain easy access and watch your favorite Spanish players whilst they practice. If you are interested in soccer opportunities in Spain, get in touch! Have a look at our website here, to find out more about our individual and team programs.